SAPIEN Technologies, Inc. Announces: 2018 Software Released! 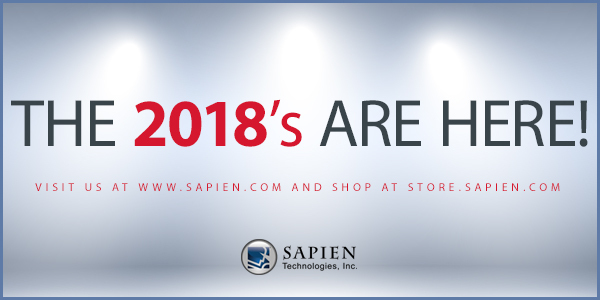 We are pleased to announce the 2018 release of the SAPIEN suite of software products! The 2018 SAPIEN product releases are packed with new features and improvements, many of which were submitted as suggestions from folks just like you. The 2018 product details are revealed in the PowerShell Studio 2018 and PowerShell HelpWriter 2018 blog posts, and in the release notes. The latest release will automatically download and install as part of the regular update cycle for your active SAPIEN product subscription(s). From your SAPIEN account: Select Registered Products, then select your registered software to download. From a machine running your licensed SAPIEN software product: Launch the software, then from the Help menu select Check for Updates. To learn more about the product versions you have installed and how to manage them, check out this overview of the SAPIEN Update Tool.